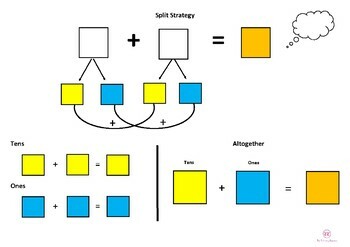 Maths split strategy templates to use in your classroom. This template is simple to use and colour coordinated for your students. Just print and laminate and these can be used in your classroom as a hands on tool for your students. This way you can use your posters over and over! If you have time, take a few minutes to leave feedback. It would be great to hear from you!